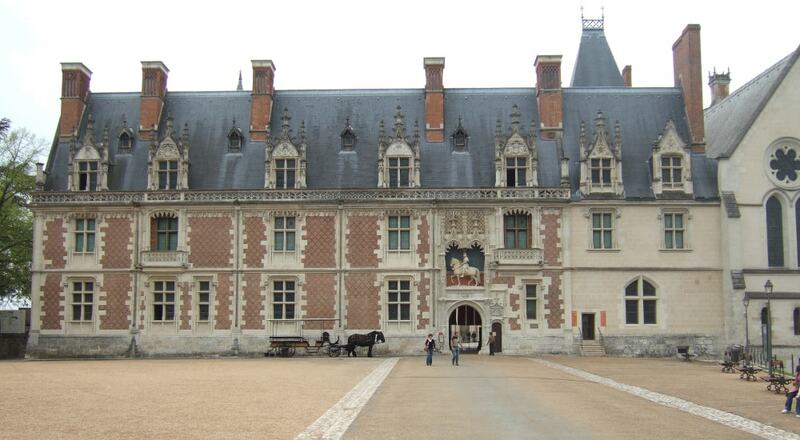 The Royal Chateau de Blois is located in the center of the city of Blois. The residence of several French kings, it is also the place where Joan of Arc went in 1429 to be blessed by the Archbishop of Reims before departing with her army to drive the English from Orleans. Built in the middle of the town that it effectively controlled, the chateau of Blois comprises several buildings constructed from the 13th to the 17th century around the main courtyard. It has 564 rooms and 75 staircases and there is a fireplace in each room. There are 100 bedrooms.